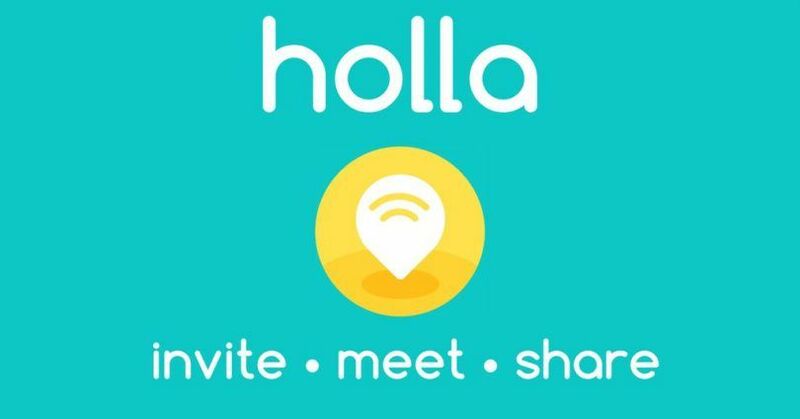 Holla is a video and voice chatting app which one could use for meeting new people. With its advanced matching algorithm system, you could have the chance to meet your match, love, spouse or partner. In this app, you will get to see profiles of real people as verified through its complex registration process. Holla’s matching system is based on your interests, hobbies, values, etc. which are determined during the creation of your profile. To start getting matches, all you have to do is swipe up to get match options. Though Holla is a great online dating app, members and subscribers in this app might not be of your interest or match. Should this be the case, do not worry as there are other similar apps like Holla that could meet your taste and needs. Camsurf is a place where one could video chat, talk and meet new people randomly. This app’s Android version comes with the same functionalities and features as its web-based version. It is designed similar to a chat messenger where you could find new friends, date or talk to random people. Camsurf’s video calling app allows its users to go on cam to cam anytime, anywhere. This app is used by many from different countries around the world. Chatous is one of the most popular social network and communication apps. It comes with texting and chatting functions which are compatible and could be used on smartphones. Through this app, you could video chat and text with other users of this app. In Chatous, you will find real people and get to interact with those who have the same interests as you. You also will be able to share pictures, videos and many more. 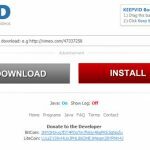 This app is free and could be used on both iOS and Android devices. Random talk is a wonderful tool that connects people around the world. Through this app, you could talk to strangers but at the same time feel comfortable and safe as you could stay anonymous while chatting. This means, you will not have to worry exploring and getting to know people from different places, with different culture and many more. Moreover, in Random Talk, we could assure you the feeling of comfortability in sharing secrets, gossips, fun chats and many more. Stranger Chat is similar to Random Talk wherein you could chat with strangers while remaining anonymous. Through this function, you will be able to communicate with random people and at the same time, be safe. You will be able to meet new people and make new friends through its text, video and voice chatting functions as well. Its interface is easy to use and is very user-friendly. Stranger Chat is a free app which means, you could chat, talk and enjoy this app’s features unlimitedly. Azar is another amazing app that connects all its subscribers and users around the world. Through this app, you could be assured that all its users are real people and there is no fake nor fictitious system in it as it comes with a rigorous registration process. Through Azar you will be able to do random video chatting with new people from all over the world. Aside from that, Azar also comes with instant voice and text translator system. This means, language barrier will not be a problem in communicating with other people with different languages. In this app, you will be able to get to have one on one conversation with real people across the world randomly. We could assure you that this app is a wonderful tool for you to be able to meet new friends and be able to communicate with them constantly. In RandoChat, you will be able to chat through text. Moreover, this app comes with numerous chatting rooms where you could visit and chat your newly found friends. StrangerMeetup is one of the most popular online dating apps where you could meet and chat with real people from all over the world. This app is free and comes with a feature wherein you could pose as anonymous. This means, even those who you are talking or chatting with will not know who you really are. In this app, you could visit private chatrooms. Registration is not a requirement for you to be able to use this app. It is free as well and allows you to enjoy unlimitedly. with features such as seeing if the one you are chatting with is typing, send a status and other functions you experience in Facebook Messenger. Omegle is known to be an app where you could meet a lot of interesting and cool people around the world. Through its chatting system, you could never go wrong in meeting and connecting with other users of this app. Moreover, what’s amazing about this app is you could choose whatever language you would wish to use in chatting. This means, you could talk to anyone with the same interests, hobbies and values as yours without having to worry about language barrier. Wakie is similar to other communication apps in this list. However, it is also different in terms of its uniqueness in its communication style which definitely adds to the trill of using this app. In Wakie, users are allowed to create topics and organize discussions. They are also allowed to join different discussions where you could also share your points of views. If you are bored and looking for something that would tickle your mind, this app is definitely for you. Look2cam offers various video chatting rooms which are in a web-based and app based forms. In this app, you will be able to chat with other people with ease. Its interface is easy to use and gives a familiar feeling to its users as this app is very much like Facebook Messenger. You could add people to your contact list and at the same time block others who you would wish not to be bothered with. Look2cam is free and is one of the fastest growing apps with millions of users subscribing to this app. This chat app is perfect for those who would wish to meet people, get to talk to them and yet remain anonymously. Anonymous Chat is free but assures its users that they are safe and their identity and personal details are kept private. In this app, you will be able to use any language you wish and get to chat through text and image messaging. Hello Chat is a platform where you could video chat with other people from other countries. In this app, you will get to meet a lot of people who has the same interests, hobbies and thinking style as yours. Video chatting is allowed in Hello Chat and it is designed for its users to make friends, have a face to face, one on one communication, get to arrange dates and find someone special. ChatNOW is another tool which you could use to find someone new. This app is introduced by Hana App which means, you will be able to chat with anyone from all over the globe. ChatNOW allows its users to spend some fun quality time through chatting. It also offers anonymous function, which means, you could chat with anyone without having to reveal your real identity. If you are comfortable talking to someone, you will also be able to share photos. Aside from that, if you have encountered someone who you feel is inappropriate or rude, you could block them.